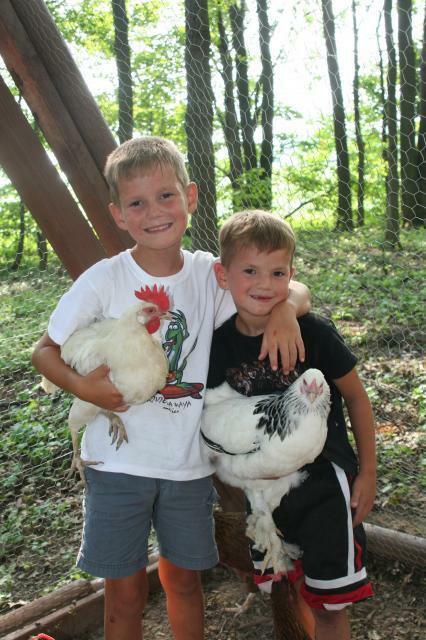 So after a few years without chickens in my life I decided it was time to get back into the chicken business and show my 6 and 8 year old boys a little about self sufficiency. 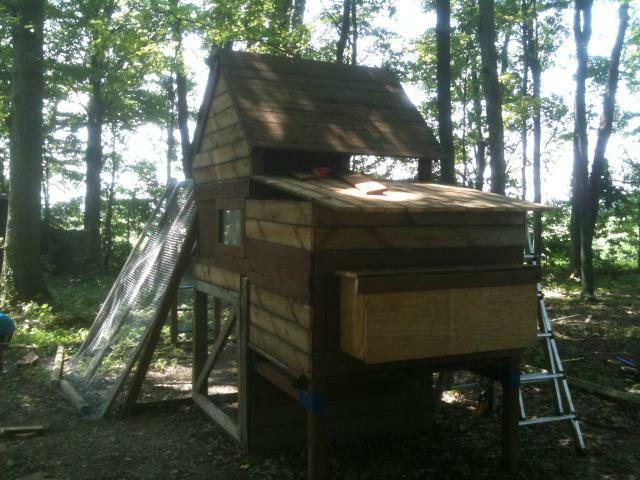 I had to decided what to make the coop out of when inspiration struck like lighting. 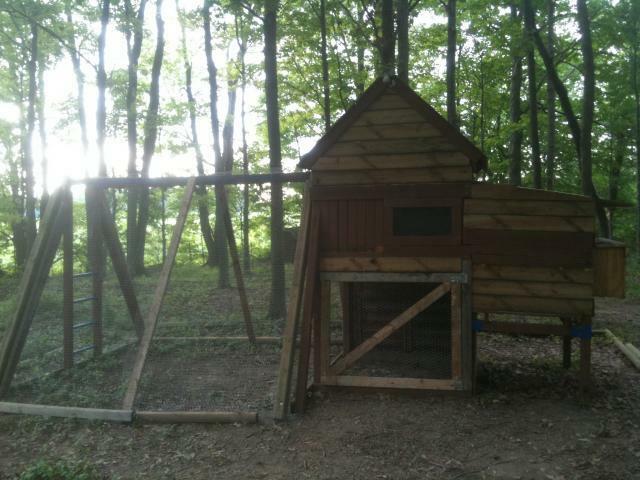 I present the Swing Set Chicken Coop....enjoy! 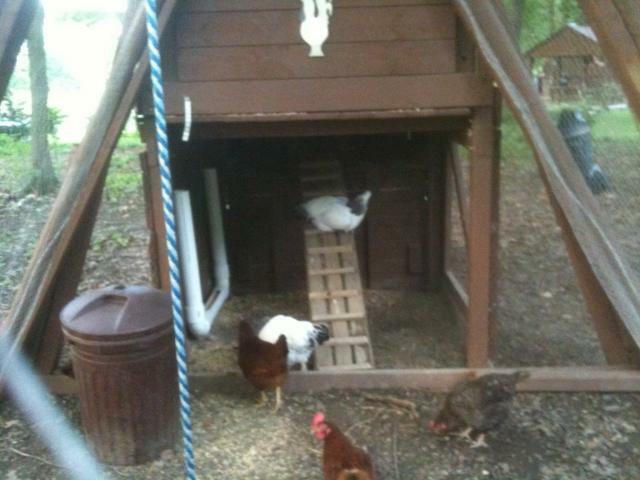 Not to shabby....spent about $100 for chicken wire, paint and box of screws. 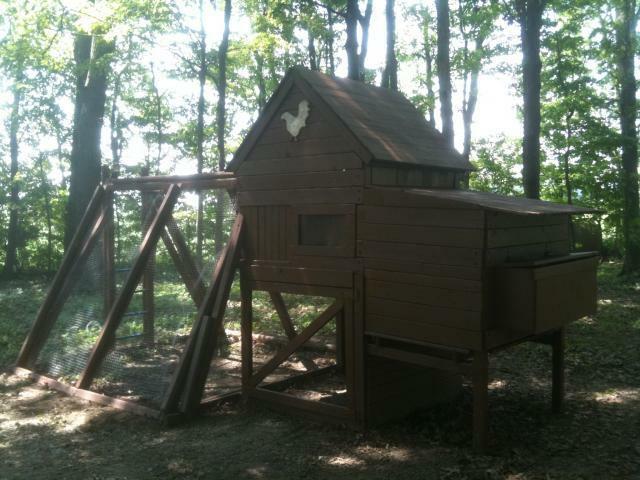 Worth every penny and all the hard work and sweat building it! TheGirlOverThere and KikisGirls like this. 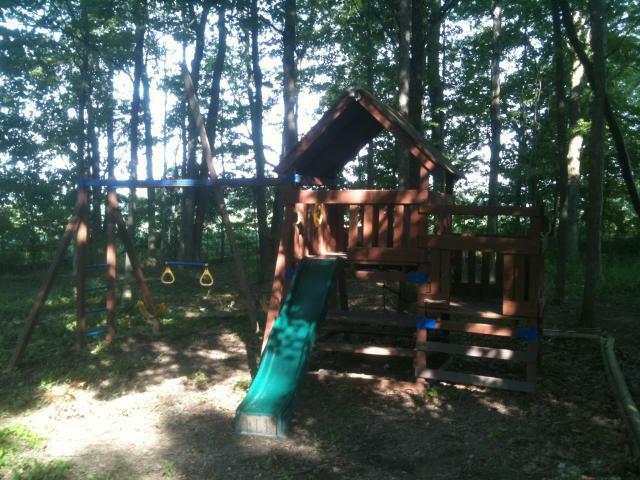 "Good reuse of swing set!" 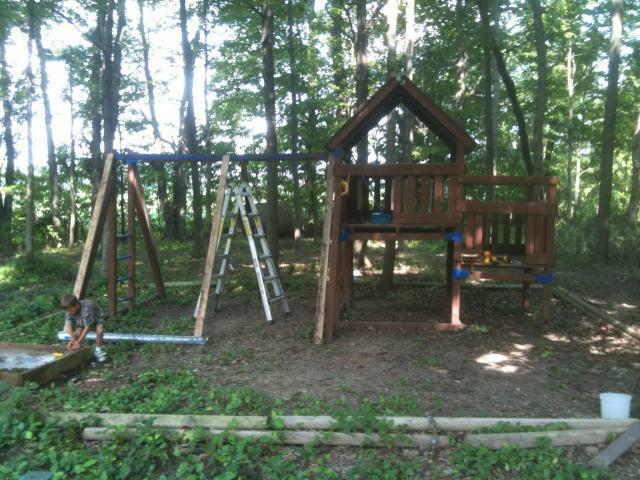 Great upcycled project, I love swing set coops! I wish there were more close up pictures and that it was more predator proof, but definitely one of the prettier ones I've seen. I like that you added a window. 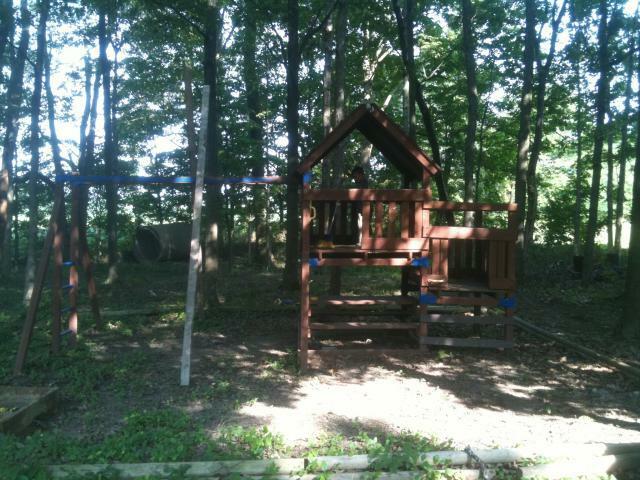 I have an old swing set that we have never used. This definitely gave us some inspiration to make it into a little run! 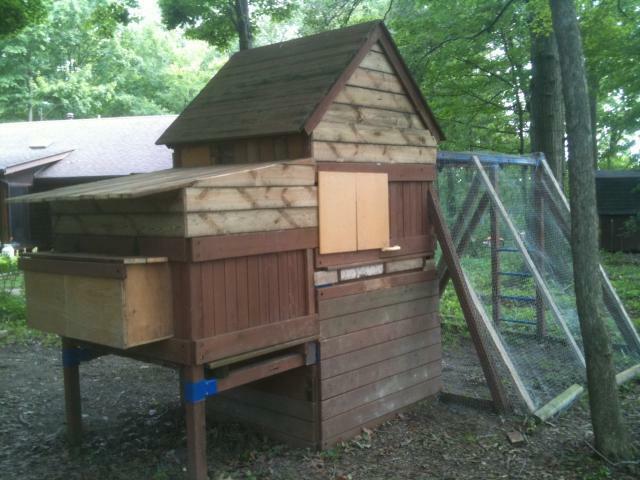 This coop is amazing! I love it! LOVE this idea! 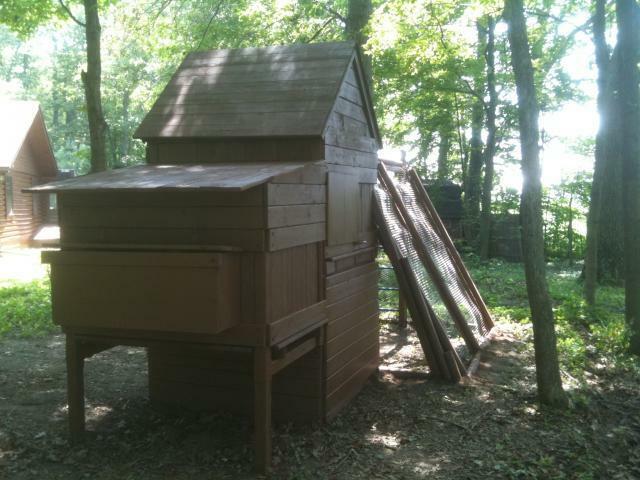 How do you access the interior of the coop for daily cleaning/tidying, and then how for a less frequent thorough cleaning? What a transformation! You had a vision and it worked out very well. Great job.